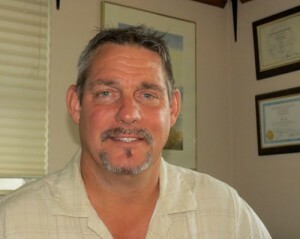 Paul Cook LMT (MA 53435) has been a licensed massage therapist for eight years. Graduated from Sarasota School of Massage Therapy, and specializes in therapeutic (Deep Tissue ), neuromuscular, myofascial release, and trigger point. He has worked extensively with young and old alike. Paul is Dr. House’s “go to” massage therapist for all his neck, back, and joint patients. He has a soft touch and really listens to the patient’s concerns and gives them the type of massage that they are asking for. We are very fortunate to have Paul with us, as he has an intuitive, healing touch, and is able to find, and help alleviate your pain, with a good working knowledge of the human body. Paul is certified in neuromuscular and sports massage. Paul has lived in Sarasota for the past 14 years. Paul found his true calling after being a carpenter for twenty years. He still spends time doing woodworking, when he’s not running with his black lab (Skybear). He loves the Big-Little feel, “we have it all: food, culture, and beaches”, and is an artist and avid woodworker. For anyone who hasn’t tried Paul, we are letting you get an hour massage with him at a low low price of $35. Call our healing center today and set up an appointment with Paul and see why Dr. House himself receives massage therapy from Paul every week.